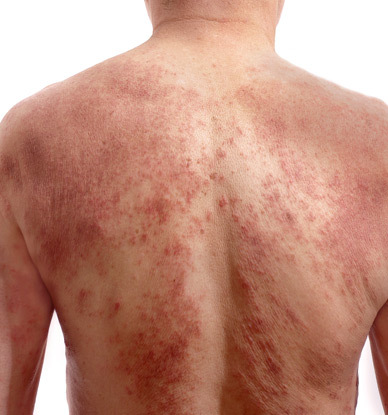 Why have Rosacea Treatment at Therapy House? If you suffer from rosacea, you are no doubt aware that there isn’t currently a cure for the condition. As everyone has a slightly different combination of symptoms with rosacea, different treatments work for different people. Here at Therapy House, we offer a range of different cosmetic medical treatments that are proven to be effective at treating the symptoms of rosacea. We can create a treatment plan that is specific to your unique set of symptoms. Some people find self-help methods effective for managing the symptoms of rosacea. This might include avoiding triggers, such as activities or foods that cause flare-ups, minimising sun exposure and using a good sunscreen (minimum SPF 30), reducing stress, avoiding alcohol and spicy foods, wrapping up in cold weather, and using pH neutral skincare products. Many people also find mineral make-up is more effective and gentle when it comes to disguising persistent red skin. Below, you’ll find the cosmetic medical treatments that can help relieve the symptoms of rosacea. Click on each treatment to find out more. It may be that a combination of treatments would work best for you or that one treatment, in particular, would be better for your skin. If you come into the clinic for a consultation, we will analyse your skin and give you recommendations unique to you. With DermaluxTM LED phototherapy, we use LED lights to address different skin complaints. The LED Red Light is ideal for treating rosacea because it has a powerful anti-inflammatory effect on the skin. This treatment stimulates cell repair, new collagen and elastin, blood flow and circulation, which can all significantly improve the symptoms you’re experiencing. This system uses multiple modules to provide powerful solutions for the symptoms of rosacea. Each module uses light and/or laser energy, and can be used independently or together for a combination of treatment approaches that can help to transform your skin. HydraFacial is a unique, multi-step cleansing treatment that helps to detoxify the skin, remove dead skin cells, extract any debris and provide long-lasting hydration and essential nutrient support that protects and rebuilds collagen levels. One of the many benefits of a HydraFacial treatment is that it can be adapted to address skin problems such as rosacea. For a HydraFacial rosacea treatment, we use super-serums filled with antioxidants, peptides and hyaluronic acid to boost the hydration of your skin and protect it from environmental damage. The treatment includes detox, cleansing and exfoliation, brightening, extraction and hydration stages, and ends with LED red and infrared light therapy for rejuvenation. In some cases, micro-needling can be helpful when treating rosacea – particular scarring caused by the condition – because it stimulates cell repair and collagen production. That being said, micro-needling won’t be suitable if you have nodular or pustular rosacea as the micro-injuries the treatment causes can aggravate sensitive or already damaged skin. We will only recommend this option for rosacea if we feel it’s appropriate to your case. Platelet rich plasma (PRP) therapy is an exciting and effective treatment that uses the cells from your own blood to help your skin tissue to heal and grow new cells. Platelet structures are fragments of cells that contain proteins and growth factors such as stem cells, signal proteins and collagen. In an injury, it’s platelets that respond first to help prevent bleeding and trigger tissue repair. They can help to seal broken blood cells, boost collagen production, and can be beneficial in the treatment of rosacea. Short wave diathermy is a safe, comfortable and effective heat treatment that closes the broken blood capillaries that cause thread veins and blemishes. After this treatment, your broken capillaries will dry up, collapse and disappear, leaving your skin much clearer and banishing much of the redness associated with rosacea. A skin peel is an exfoliating treatment that uses a chemical solution to remove your dead, dull skin cells and reveal the healthy cells underneath, as well as to stimulate fresh cell growth. We offer a range of skin peels to address a variety of issues, including peels that are suitable for treating the symptoms of rosacea. Want to know more about Rosacea Treatment?